"Mom, I love you and miss you." "Members of Hockinson Finnish UFKB&S Lodge,of which Irja was..."
"IRJA Swanson was a lady admired & respected by all who knew..."
"I remember Irja as a kind woman that made difference in the..."
"Her family was the most important thing in her life." Our mother was born in Cloquet, MN to John and Ida Lehtonen and left us on Nov. 8, 2015 at the age of 97 and eight months. She was the third youngest of 12 children and the last remaining sibling. She lived on the family farm in Minnesota until she was ten years old when they moved to a farm in Hockinson, WA. She attended Battle Ground schools but was only allowed to attend through the 8th grade as was the custom in those days since the children were needed to help on the farm. She later earned her high school diploma as well as attending college. Mom married our dad, Lloyd Darwin Swanson, in 1940 and had two children, Darwin Lee Swanson and Kathleen Ida Swanson. Mom spoke fluent Finnish since her parents did not speak English, but learned English from her older brothers and sisters who learned it at school. She loved music, and played the accordion in a dance band for many years. In the 1970's she and dad formed their own band. They both sang in a Finnish choir in Portland and traveled to Finland and other areas to sing. Dad didn't know Finnish, but just learned the words to sing. 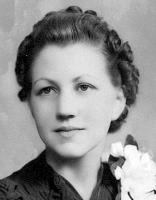 Mom was a secretary/bookkeeper for the City of Vancouver and the Internal Revenue Service. 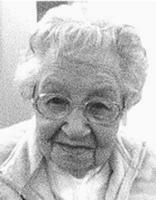 She was a member of the United Finnish Kaleva Brothers and Sisters and enjoyed crocheting, playing the accordion, singing, traveling, and dancing. Mom is survived by her children, Darwin Lee Swanson (Josephine Swanson-Chavez) of Pueblo, CO and Kathleen Ida (Bob) Smithline of Ridgefield, WA; eight grandchildren; 11 great-grandchildren; two great-great-grandchildren; and many nieces and nephews whom she loved. She was preceded in death by dad; her parents; and 11 brothers and sisters. A memorial service will be held on Wed., Nov. 18, 2015 at 3:00 p.m. at Evergreen Memorial Gardens, followed by a brief graveside service. Special thanks to friends and family who visited her, especially her nieces and nephews; Kaiser Hospice; and the staff and friends at Elite Care.